I remember my first time watching figure skating with eerie clarity. February 1994. Like millions upon millions of other people around the world, my 9-year-old eyes were glued to the television to watch the skating competitions during the Olympic Games in Lilllehammer, Norway. I distinctly remember Tonya Harding's skate lace meltdown, Nancy Kerrigan's twinkling beige dress and Scott Hamilton's commentary yelping exuberantly about it all. I was totally hooked. In the years that followed, I began to obsessively follow every competition and show on TV, filling up hundreds of blank VHS tapes so that I could re-watch Michelle Kwan's every moment of glory whenever I wished. (Oh, the days before DVR.) I also attended dozens of events in person, including the Olympic-qualifier national championships in St. Louis in 2006. After that, my interest waned. At the same time, figure skating's popularity in the United States has plummeted. While endless hours of skating coverage used to fill the airwaves, just more than a handful of events are broadcast on network television today. And while the sport is more popular than ever in Asia, it has been on steady decline here for years, retreating into obscurity. Almost more than a decade since my last live event, I attended the Skate America competition in Milwaukee, Wisconsin last weekend. Kicking off the six-part Grand Prix international series, Skate America is the first major competition of the figure skating season. It's an important event, where skaters earn points toward their goal of qualifying for the Grand Prix Final, a competition that serves as a lucrative preview of the World Championships in the spring. But you wouldn't necessarily know that by looking around the half-empty stands at the UW Milwaukee Panther Arena. With a 7,000-person capacity for figure skating events, the Panther Arena attracted, at its best-attended of four ticketed sessions, an audience only half that size. The event's first session of four, Friday afternoon, was attended by only 2,700. Skate Americas as recently as 2008 have enjoyed a total attendance as high as nearly 30,000 for the full multi-day event, so where was everyone? 1. Celebrate the sport for what it is, rather than making it something it's not. Let's get the obvious out of the way: The action on the ice all weekend was remarkable. The achievements of top figure skaters, combining the athletic skill required, the strength and agility, with the artistry of performance factor is a tall order. Few achieve the rare moments of transcendence when it all falls into place all at once. On top of that, the costumes are stunning, often more intricate than the outfits worn by many pop stars on their arena tours, and the drama between rival skaters, coaches and nations is palpable. All things considered, figure skating is the original reality show. And that's enough to let the sport, in many ways, speak for itself. It doesn't need an in-arena DJ spinning pop and hip-hop all weekend long during breaks and between performances. It doesn't need an in-arena host leading awkward trivia contests with fans. Just let the skaters skate -- and find a way to make it easier for interested viewers to find it on television. Only one hour of the event was broadcast on its network partner, NBC, over the weekend. This is insufficient exposure to build an audience. 2. But can we talk about the scoring system? For anyone who hasn't watched figure skating in a long time, the days of a 6.0 marking a perfect score ended about a decade ago. The sport's new judging system assigns different point values to each move performed -- the harder it is, the more points you get -- and bonus points are offered, or taken away, based on how well it was executed. This means that a "good" score means something different for each skater, depending on what they planned to perform. 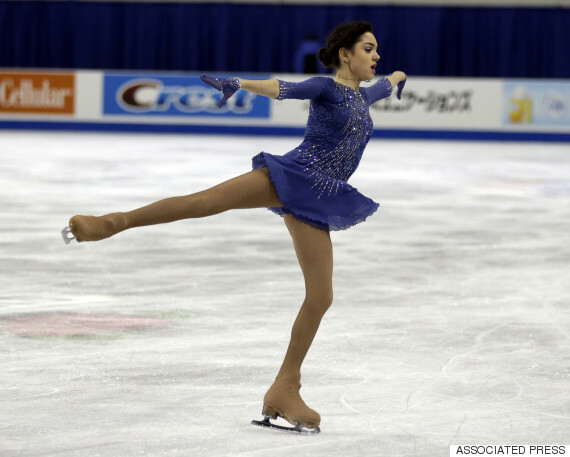 The winning total for Skate America's women's champion, Russia's Evgenia Medvedeva, was 206.01. That number is meaningless to the average person. Context is needed to educate viewers about what factors contributed to a skater's score being either low or high, why a skater who fell on a jump might still place high based on their overall performance, for example. To avoid fully explaining so, both on television and especially at a live event, causes only confusion. This is already a kind of ridiculous sport, let's not make it more so! 3. But don't dumb it down. While context is important, don't assume an audience is completely clueless. During one in-arena interview with a former champion about what to expect during the pairs event that was broadcast on the arena Jumbotron, the commentator explained that the male pairs skaters were throwing their partners the length of a couch during their throw jumps. That comparison is meaningless to the scoring system and somewhat demeaning to the audience. More thorough commentary might have noted the difference in difficulty and point value of different throw jumps, which jumps top pairs were planning for their programs and how much of a role successful completion of their throw jumps plays in a pairs team's overall performance. 4. Send in the music consultants. Beginning last year, the figure skating powers that be allowed, for the first time, all four disciplines of skating -- pairs, men's, ice dancing and women's -- to use music with lyrics for their programs. One would think this would open the floodgates to all sorts of different music being used in competition but, for the most part, most skaters continue to stick to generic, conservative musical selections that serve as Ambien for audiences. 5. The sport is at its best at its most eccentric. Embrace and encourage that. The weekend's highlights were the moments where a skater stuck out from the crowd. Pairs champions Wenjing Sui and Cong Han of China's incredible lateral quadruple twist. 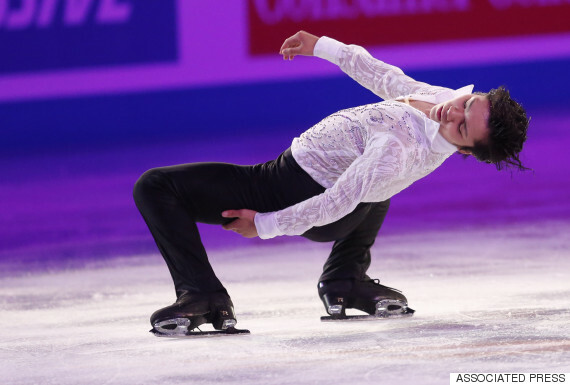 Men's runner-up Shoma Uno of Japan's unusual, program-ending cantilever bend. Canadian ice dancers Piper Gilles and Paul Poirier's strange and exciting "She Said/Neverland" free dance. These are the sorts of moments that fans of the sport from long ago, the days of Tonya and Nancy, will be drawn to if given the chance. These are the moments skating promoters in the U.S. need to be emphasizing if they are to bring the sport back from its death spiral.